If A(-3,0) and C(5,2) are the endpoints of diagonal AC of rectangle ABCD, with B on the x-axis, what is the perimeter of rectangle ABCD? Draw this out. Start with the two points you’re given. Now remember that the shape is a rectangle, and that you’re told that point B is on the x-axis. The only way that happens is if B is at (5, 0). 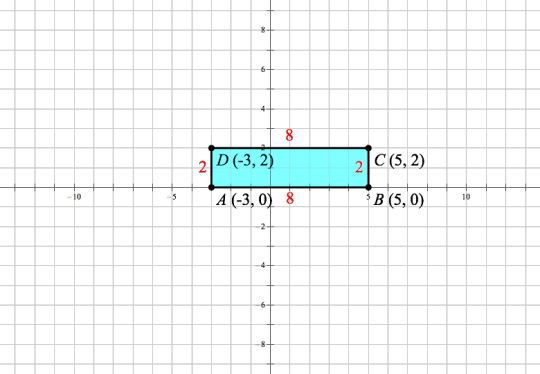 Point D, by the same logic, must be at (–3, 2). Now draw the rectangle and measure the lengths. The long ends have length 8, and the short ends have length 2. Therefore, the perimeter is 8 + 2 + 8 + 2 = 20. The thing to remember about functions is that they do the same thing to whatever is inside the parentheses. So don’t worry about the r vs. the h. They could use x, or a little star symbol, or whatever else they want. 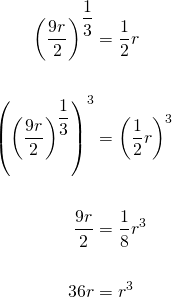 What matters is that the function f, as defined here, will equal zero when r = 4, or when r = –1. When we’re told that f(h – 3) = 0, we can conclude that h – 3 must equal either 4 or –1. Therefore, h must equal either 7 or 2. The graph below might help show what’s going on visually. When the thing in the parentheses next to the f (also known as the argument of the function) equals –1 or 4, the function equals zero. Therefore h – 3 must equal –1 or 4. In the system of equations above, k is a constant. 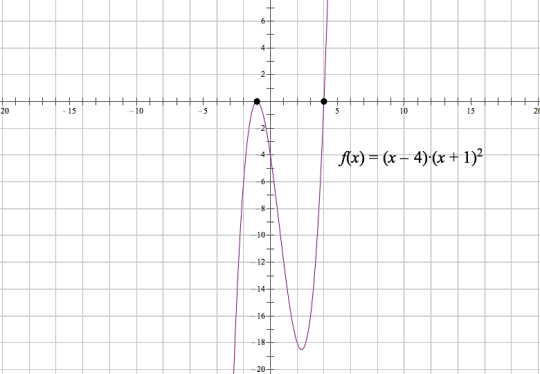 When the equations are graphed in the xy-plane, the graphs intersect at exactly two points. Which of the following CANNOT be the value of k? 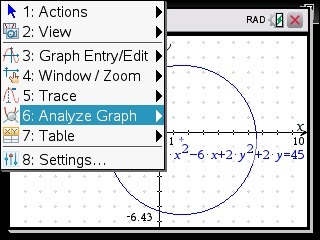 Because this comes in the calculator section, you might think that my recommendation is to graph them all. Indeed, if you go that route, you’ll get the answer, and it won’t take that long! However, if you notice that making k equal zero eliminates the x term in the first equation, you might not need to bother graphing anything else. When , the equations become and . 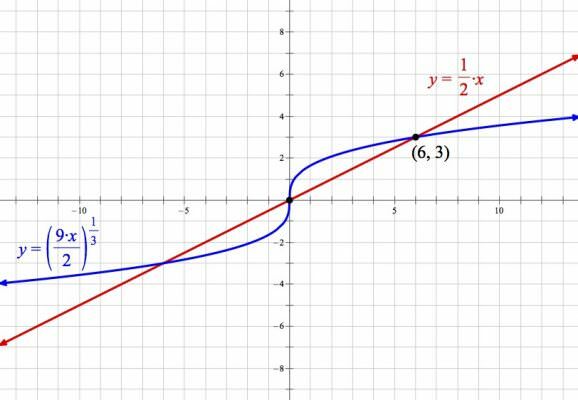 The former is just a horizontal line above the x-axis, and the latter is a downward-facing parabola that intersects the origin. Those will never intersect, so zero cannot be the value of k.
Could you please explain SAT Past paper 3, section 4, question 12? Could you please explain SAT Past paper 3, section 4, question 12? I don’t really understand why the double root is considered a ‘distinct’ zero. Sure. Would it make you feel better if “distinct” were replaced with “unique”? Those terms are interchangeable here. When the question says the function has “five distinct zeros,” that really just means there are five values that 1) don’t equal each other, and 2) make the function equal zero. In other words, f(a) = 0, f(b) = 0, f(c) = 0, f(d) = 0, and f(e) = 0 for unique values a, b, c, d, and e.
In OTHER other words, the function f touches the x-axis five times. Sidestepping all of the above, all you really need to do is count the number of times each graph touches the x-axis. Choices A and B touch the x-axis four times, and choice C touches the x-axis six times. Only choice D touches it five times. Can you help me with the Official Test 4 Question 21? Yep! I actually think it’s helpful to do a little drawing here. 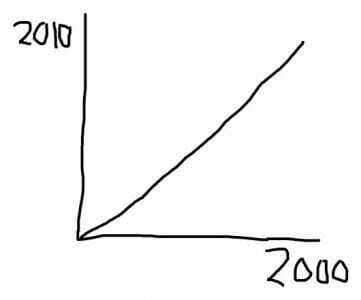 Below is my very rough (sorry, had to draw it on my laptop trackpad) drawing of the axes as described in the question, with year 2000 data on the x-axis and year 2010 data on the y-axis. 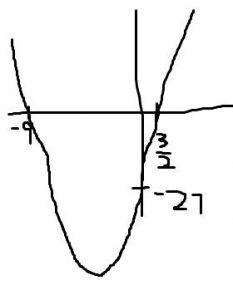 I’ve also drawn the y = x line. Now let’s pick a set of bars and try to plot it. Looks like the bars for wood were at about 2.25 quadrillion Btu in 2000 and a little less than 2 quadrillion Btu in 2010. Biofuels, on the other hand, were fairly small in 2000 (around 0.25) and larger in 2010 (say around 1.8). Do you see what’s going on here? 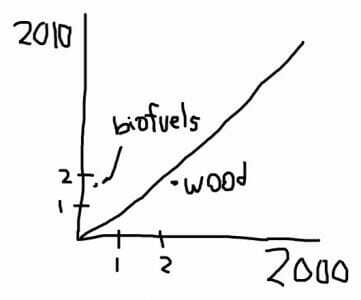 When consumption of an energy source grew from 2000 to 2010 (like biofuels), its dot will be above the y = x line. 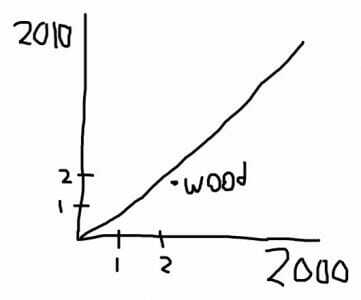 When consumption declined from 2000 to 2010 (like wood), that dot will below the y = x line. Now you can stop plotting and just count the energy sources for which the 2010 bar is higher than the 2000 bar. I’m seeing three: biofuels, geothermal, and wind. So 3 is your answer. First, don’t be intimidated by all the visuals here. This one is not nearly as bad as it looks. 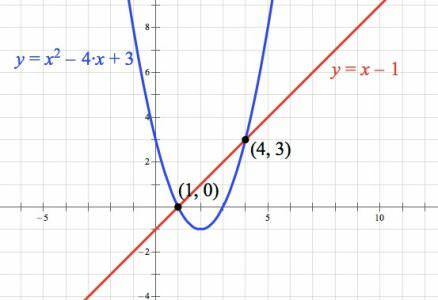 Start by identifying the maximum of the graph of f. Hopefully you agree with me that the greatest y-value the graph reaches is 3, which it reaches when x = 4. So we know that the maximum value of f is 3. Therefore, k = 3. From there, all you need to do is read the table and find g(3). What does the table say in the g(x) column when it has a 3 in the x column? That’s right, g(3) = 6, so the answer is 6. 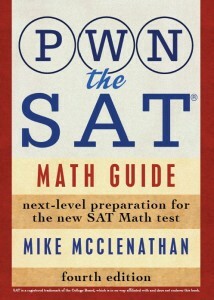 This doesn’t seem like an SAT question—maybe Subject Test? Anyway, use your graphing calculator to find the maximum of the first function (it’s 107/16) and the minimum of the second function (it’s –4). Now subtract! I’d get this one by substituting. Since both equations are given to you in y = notation, set them equal to each other. 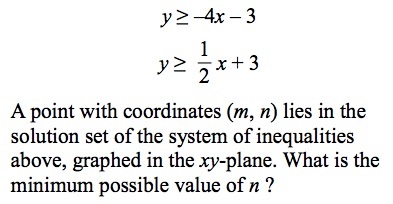 That tells you that x is either 1 or 4, so pick one and solve for what y must be in that case. Use the second equation because it’s simpler! 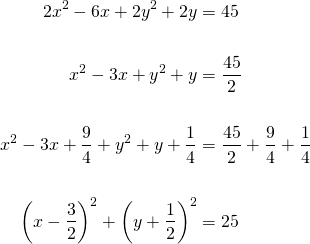 For example, if x = 1, then the second equation tells you that y = 1 – 1 = 0. So in that case, the product of x and y is (1)(0) = 0. The other possibility is that x = 4 and y = 3. In that case, the product of x and y would be (4)(3) = 12. Note that although my first instinct here was to solve algebraically, this is also a good one to use your graphing calculator (if you have one). 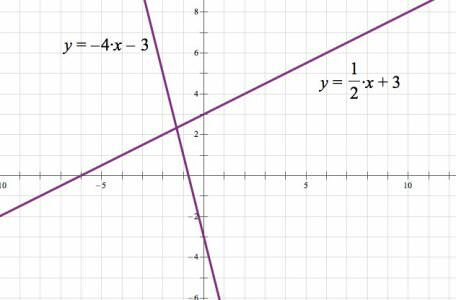 Just graph both equations, find either of the intersections, and multiply their coordinates to find the product of x and y. Test 5, Section 4, Question 20. How do you get to the answer? Get this by process of elimination. A) Eliminate this because the question says the wheel is rolling at a constant rate (i.e., speed), so a graph of its speed would be a horizontal line. B) Eliminate this because the question says the wheel is rolling at a constant rate along a straight, level path. Therefore, its distance from its starting point as a function of time would also be a straight line with a positive slope—the graph would get higher and higher the longer the wheel rolled. C) Eliminate this because the mark on the rim will always be the same distance (the radius) from the center of the wheel. If r>0 and (9r/2)^(1/3) = (1/2) r, what is the value of r? We need not consider r = –6 because we know r is positive. 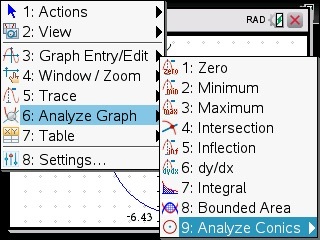 The other way to go is to graph both sides of the equation and find the intersection(s). 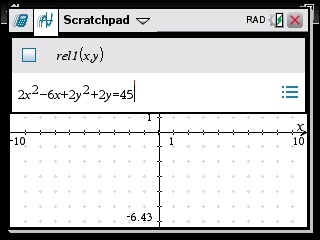 Because r is positive (my software made me use x in the graph above, as your calculator probably will, so just remember that x = r), the only intersection that matters is (6, 3). 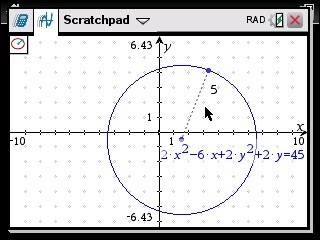 At that intersection, x = 6, so we know that the value of r is 6. 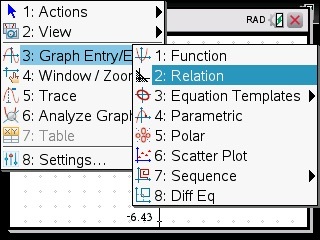 I think the easiest way to go here is to use the calculator to graph. Don’t worry about the ≥ signs, just graph the lines and remember that the ≥ means anything on or above the lines you see. 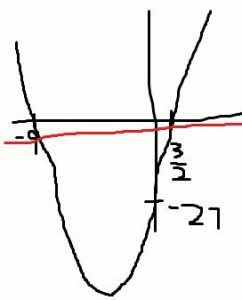 Now, remember that you’re looking for the lowest possible y-coordinate that’s on or above both of those lines. 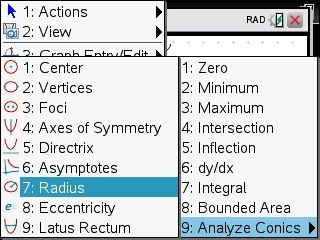 In other words, you’re looking for the y-coordinate of the intersection! 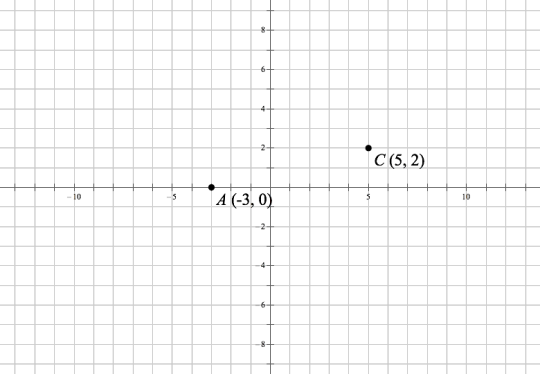 Since you’ve already graphed the lines on your calculator, it’s probably easiest just to use the calculator to find the intersection: (–1.33, 2.33). 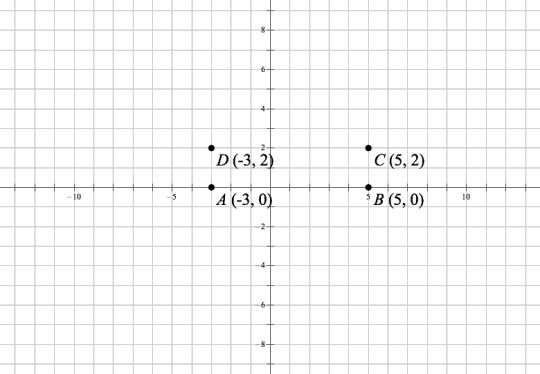 2.33 is the answer you’d grid in (or its fraction form: ).